The NWO’s original blueprint for the M.E. was/is the Manifesto contrived by the disgruntled when the Promised Land ceased to be in 70 A.D. This man made manifesto [200 A.D. – 500 A.D.] for continued errors was called the “Talmud” that rejects 70 A.D. end of The Promised Land. The “Talmud” has been refined further into what is called “The Protocols Of Zion” strictly for the “Khazarian Mafia” aka; NWO usurpation of Jews. Though the “Protocols” are separate from the “Talmud”, they work together for world supremacy. 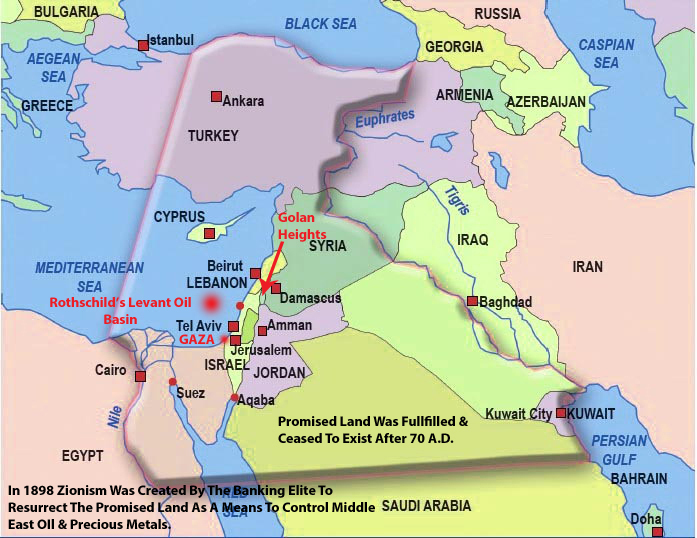 The “splitting” of today was not a “splitting” of Iraq and Syria in The Promised Land which was fulfilled and ceased to be over 2,000 years ago, but is now perpetrated as a reality by the Rothschild chartered Scofield Bible for M.E. banking control by usurpation of the Jew. Out Of This Second Temple That Was Destroyed 70 A.D. ~ The Only Remnant Is The Western Wailing Wall In Rothschild’s State Israel ~ Never To Be rebuilt. The first Jewish revolt ends. Romans destroy Jerusalem and the second temple. 1,100,000 killed. 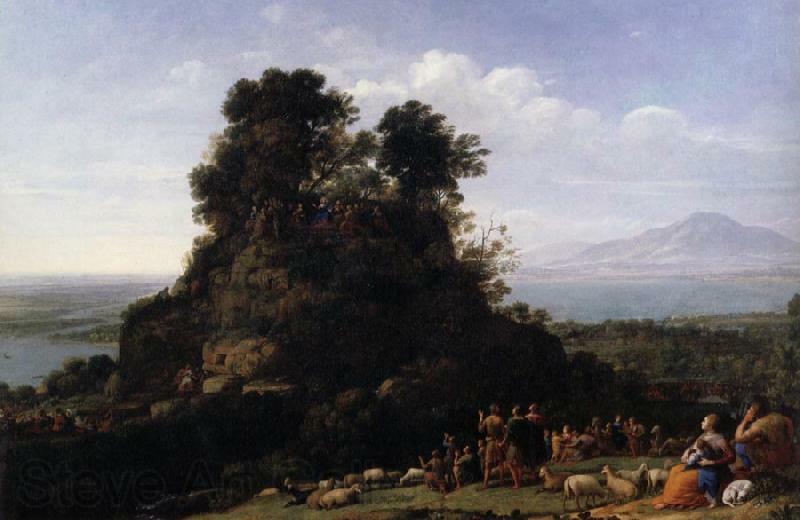 Siege for 134 days, April 14 – September 7 (Passover to Yom kippur). Titus breached the walls of Jerusalem on 17th Tammuz. The Romans cut down every tree and salted the land in Israel to punish the Jews -> This is very similar to what Netanyahu is doing to the Palestinians now by cutting down all their Olive Trees 2015 A.D.
900 Jews flee to a fortress in Masada. Zealots commit suicide when Rome laid siege. 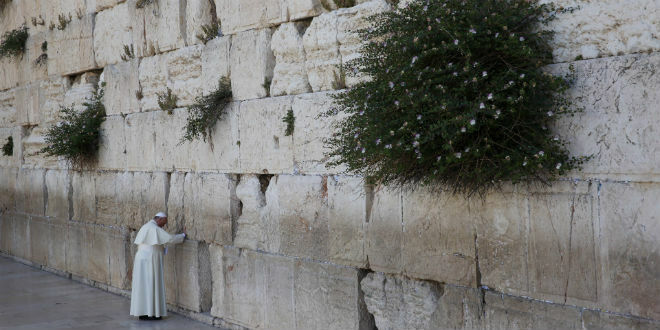 Pope Francis At The Western Wailing Wall Of The Destroyed Temple Mount 70 A.D. As Prophesied By Jesus The Christ Matthew 24:2, Ezekiel 21:18-22, & Daniel 9:24-27. The Same Temple Where Jesus The Christ Laid The Whip Upon The Money Changers. Several Days Later The Sanhedrin Violated Every Jewish Law To Bring About Jesus’s Death 3:00 p.m on Friday, April 3, A.D. 33. Jesus’s prophecy evidenced by Historical Commentary. For a thousand years the Jewish priests had sacrificed, but after Jesus’ redemptive sacrifice the animal sacrifices stopped. Jesus had foretold that the Temple would be destroyed; in 70 A.D., it fell, never to be rebuilt. Pope Francis’ crime is that he officially recognised the existence of the “State of Palestine” developed between February 2000 ~ May 2015. The time to form a Goyim Defense League (GDL) is overdue!! Alex Jones Does An Al Sharpton On The Vatican! Israeli NWO Banks Flipping Out Over Looming European Boycott Of Israel. Tick Tock Tick Tock! 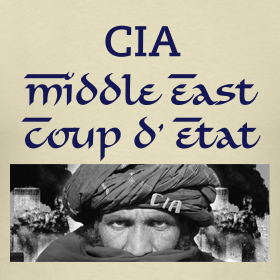 CIA Created al-Qaeda as Mercenaries to do the bidding of the NWO in The M.E. Obama Netanyahu Work In Concert To Usurp The Middle East Conscripting A “False Promised Land Paradigm” aka; ZIONISM For Rothschild’s NWO Banking Cabal. One Year since the outset of the US bombing campaign “against ISIS” in Syria and Iraq. August 8, 2014 marked the onset of the bombing campaign. First published in February 2015. According to figures released by U.S. Central Command (CENTCOM), “the U.S. and its coalition partners have struck 10,684 targets including 3,262 [so-called] ISIS buildings, 119 commandeered tanks, 1,202 vehicles and 2,577 fighting positions.” The term “ISIS buildings” is a fake concept. Those buildings (including residential areas) are part of the civilian infrastructure of Iraq and Syria. The number of targets struck suggests an intense carpet bombing campaign geared towards the destruction of both Iraq and Syria. U.S.-CIA & Israel-Mossad finance, train, outfit the Muslim Brotherhood who is the parent organization of the monikers > al-Qaeda, >Kosovo’s KLA, >al-Nusra, >Hamas, >ISIS, etc. etc. Meanwhile, the ISIS which is construct of US intelligence, trained and financed by the US and its allies (including Saudi Arabia, Turkey) [I have my doubts about S. Arabia because they have dropped the Kissinger petrodollar for sole settlement of oil and they are aligning with China] has not been defeated. On the contrary it has extended its grip throughout the Middle East. The bombing raids in Syria, Iraq and more recently Yemen have not been the object of protests by the anti-war movement, nor has been considered a criminal undertaking under international law . The bombing raids have been portrayed by the media as part of a counterterrorism operation. The “Global War on Terrorism” has been accepted as a humanitarian undertaking. British Supply Planes For ISIS. 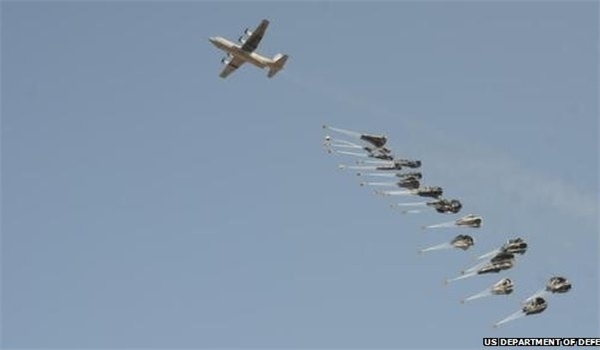 Since August 2014, the US Air Force with the support of a coalition of 19 countries has relentlessly waged an intensified air campaign against Syria and Iraq allegedly targeting the Islamic State brigades. 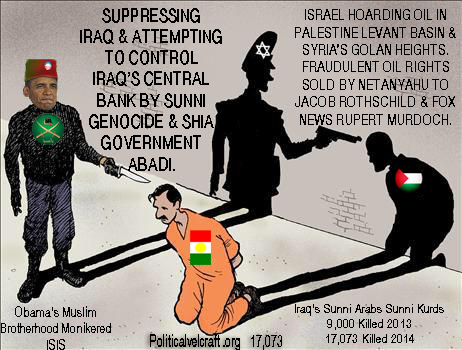 Two CIA Mossad Agents Arrested By Special Forces While Advising ISIS Inside Iraqi Borders! This large scale air campaign which has resulted in countless civilian casualties has been routinely misreported by the mainstream media. According to Max Boot, senior fellow in national security at the Council on Foreign Relations. ”Obama’s strategy in Syria and Iraq is not working… [ because] the U.S. bombing campaign against ISIS has been remarkably restrained”. (Newsweek, February 17, 2015, emphasis added). Americans are led to believe that the Islamic State constitutes a formidable force confronting the US military and threatening Western Civilization. The thrust of media reporting is that the US Air Force has failed and that “Obama should get his act together” in effectively confronting this ”Outside Enemy” of America. What kind of aircraft are involved in the air campaign? The F-16 Fighting Falcon, The F-15E Strike Eagle, The A-10 Warthog, not to mention Lockheed Martin’s F-22 Raptor stealth tactical fighter aircraft. 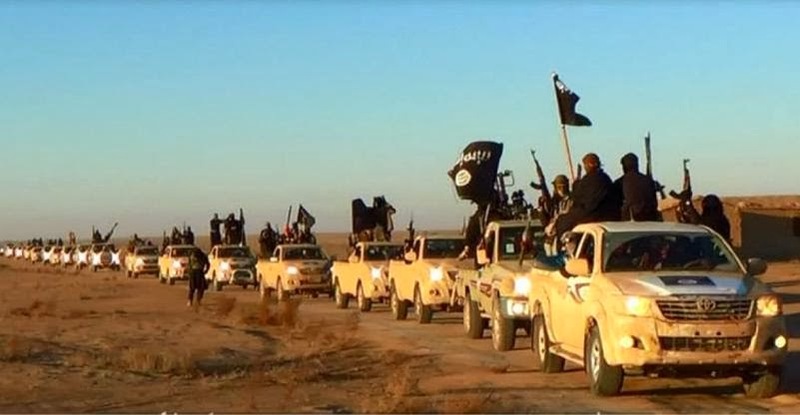 What would have been required from a military standpoint to wipe out an ISIS convoy with no effective anti-aircraft capabilities? The Syro-Arabian Desert is open territory. With state of the art jet fighter aircraft (F15, F22 Raptor, F16) it would have been –from a military standpoint– ”a piece of cake”, a rapid and expedient surgical operation, which would have decimated the Islamic State convoys in a matter of hours. And we are led to believe that the Islamic State cannot be defeated by a powerful US led military coalition of 19 countries. 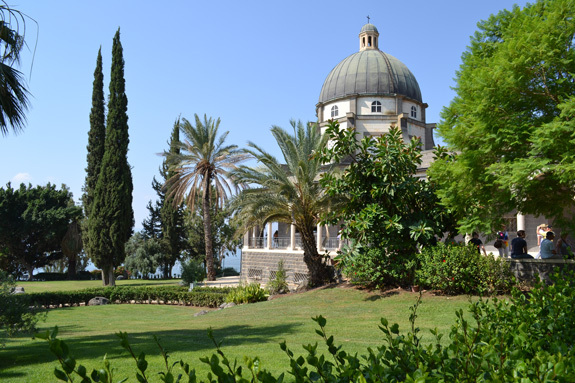 Franciscan Catholic Church Atop The Mount of Beatitudes. In 1947 The United Nations Unilaterally & Illegally Annexed Land Away From The Palestine Region Where Jews, Arabs, & Muslims Lived Side By Side And Rothschild Created A ‘State’ Israel aka; ‘Zionism’ For Jews. 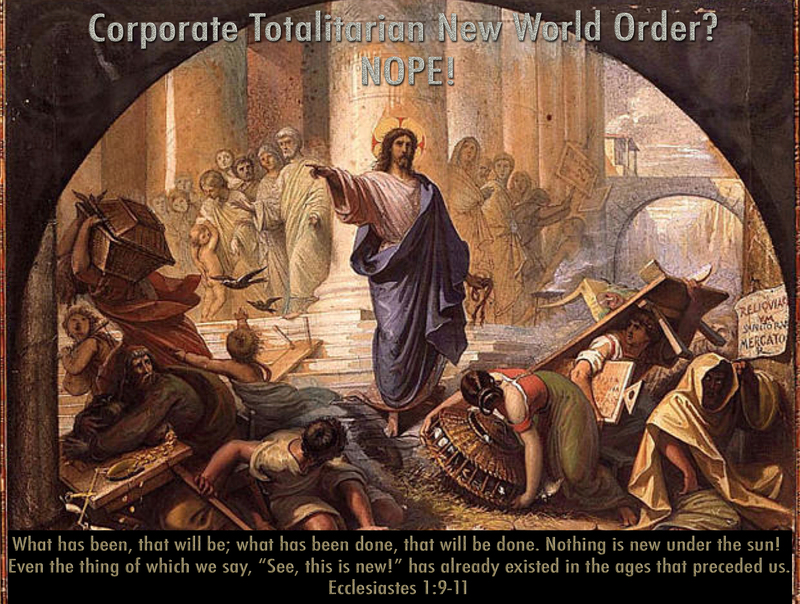 It is here the Jews were Usurped by The Banking Cabal. British Landmark Case ~ Rothschild Zionism Is Not Abrahamic Judaism!! This Illegal Annexation For A Jewish State, Is In Violation Of The Torah Since The Jewish People Are In Exile [70 A.D. Deuteronomy 11: 13-17] And Only God Can Grant His People Divine Redemption Romans 11:23. Zionism is based on a distorted and erroneous reading of Scripture, and began with the English preacher John Nelson Darby. Zionism was perpetuated in America by Cyrus Scofield during the early 20th century, who published the [Heavily Distorted] popular Scofield Reference Bible in 1909. “Thus the LORD gave to Israel all the land which he swore to give to their fathers; and having taken possession of it, they settled there” (Jos. 21:43). “Blessed be the LORD who has given rest to his people Israel, according to all that he promised; not one word has failed of all his good promise, which he uttered by Moses his servant” (1 Kings 8:56). “Thou art the LORD, the God who didst choose Abram and bring him forth out of Ur of the Chalde’ans and give him the name Abraham; and thou didst find his heart faithful before thee, and didst make with him the covenant to give to his descendants the land of the Canaanite, the Hittite, the Amorite, the Per’izzite, the Jeb’usite, and the Gir’gashite; and thou hast fulfilled thy promise, for thou art righteous” (Neh. 9:7-8). Rothschild Parasites Off Of Nation States By His Banking Cabal And His Mafia PsyOp Modus Operandi. In 1917 A Scheme Was Hatched Called ‘The Balfour Agreement’ By The British For Rothschild To Usurp [Annex] This Land. 31 Years Later And Contrary To The Torah, The People Who Practiced Judaism aka; Jews Were Usurped To A State in 1948, This Was The Same Year Gandhi Removed Rothschild From India And The Same Year Gandhi Was Murdered. Rothschild Owns Oil rights Throughout His State Of Israel Region. Netanyahu Grants Oil Rights Inside Illegally Occupied Golan Heights Syria: To Fox News Owner Rupert Murdoch And Jacob Rothschild. Israel’s Midnight Cowboy Jon Voight: While Babies Are Bombed ~ A Rothschild Caliphate. Rand Paul Gigolos For Rothschild’s Israel: Threatens Black Mail Against Palestine If They Pursue War Crimes At The Hague International Criminal Court! ← The Wrath Of Farrakhan ~ There’s A Murderer In The Government White House But He’s White!